Posted by admin on Nov 8th, 2018 and filed under News Digest. You can follow any responses to this entry through the RSS 2.0. Both comments and pings are currently closed. The Convener of Imo Restoration Coalition, Hon. Barr. Kingsley Ononuju has hailed the guber candidate of the All Progressives Congress, APC over his victory in the just concluded party primaries. He stated that his emergence was the needed change Imo craved for, to be freed from the clutches of bad leadership orchestrated by the current administration led by the Governor, Rochas Okorocha who he referred to as ”Emperor”. Hailing Uzodinma, who he said is one in a million man, fearless crusader and brave warrior, who treaded where many dreaded, enthused that with the defeat of Gov. Rochas Okorocha and Uche Nwosu, the coast is clear for 2019, adding that Imolites will have no choice than to reciprocate by massively voting him into power. Stating that the task of growing Imo starts now, Ekwedashieike said it might seem daunting due to the underperformance and huge debt Okorocha plunged the state into, as he prayed that with God by their side they will succeed. 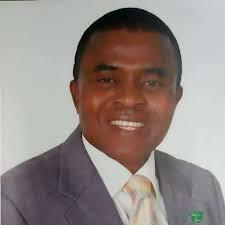 The Coordinator, Imo Equity Movement was swift to say that despite being a supporter of the zoning system, the dogged disposition of Sen. Hope Uzodinma earned him the position, considering the work needed to recover Imo, which he said needs a sustained and determined effort like the one exhibited by Uzodinma. “Even though I profess equity, but for the moment, the exigent task of recovering Imo from the floundering overlord is more pressing and such requires sustained and determined efforts as demonstrated by Senator Hope Uzodinma,” he said. Continuing he thanked all aspirants who sacrificed their ambition and all who made Uzodinma’s emergence a success as he assured that the new dawn in Imo, is set to put smiles on the faces of Imolites again.